Solar lighting can put sunshine into almost any room. 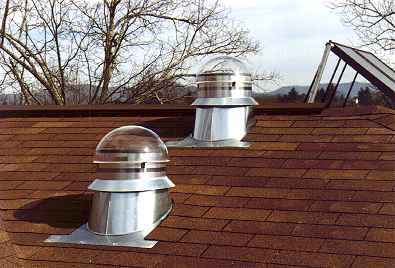 Take, for example, these two Sunpipes that pass through the upper floor to light up two basement bedrooms. Want to know a secret? There is a feeling about this work that brings joy and satisfaction. I mean a deep, boiling HaHaHaHa! sort of a feeling. So, about solar lighting...The light pipe technique solves an ancient problem of how to get light into all the interior spaces of a structure. Every room should have natural light, right? The obvious answer is for our personal enjoyment. You also need the benefit of natural light to clue your body into day rythms and to decrease the need for electric power dependence. And natural daylight discourages mold growth. How many moldy houses have I seen? Too many! 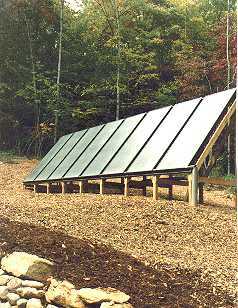 A passive solar design is integral to any good home. 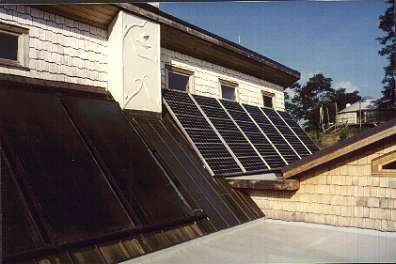 In this house, the upper (passive solar) sundeck provides access to active solar heat and solar electric panels that power the whole house. Water is pumped though these panels in the back yard. They warm up a large holding tank. 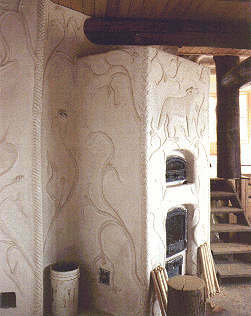 The heat is then distributed throughout the house by pipes under the slab floor. Actually, I prefer simplicity. 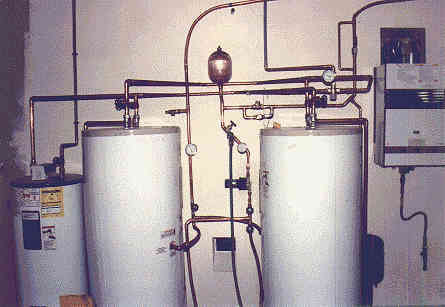 This is a hot water storage system for a larger than usual domestic hot water household system. It's one monster of a water storage tank. 4,000 gallons! It needed a room of it's own, pumped full of insulation. 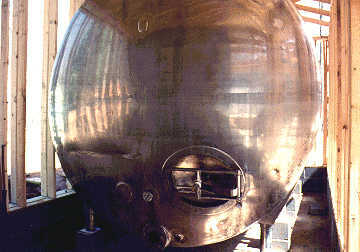 Believe it or not, this was a used dairy tank, double walled stainless steel. At a good price.